No scratches on the screen. 4G LTE, 802.11ac Wi-Fi, Bluetooth 4.2. But the iPad Pro isn't just for play--it's designed to take on the heavier jobs, too. Make: Apple. Apple A9X 64-bit SoC with M9 Coprocessor. Headphone Jack: 3.5mm. APPLE IPAD 4th. Condition:Near Mint. We only do RMA in USA. Tablets show evidence of heavy wear, such as deep scratches, large scuffs. Imperfections on the screen will not restrict visibility when powered on. Trending at $164.98eBay determines this price through a machine learned model of the product's sale prices within the last 90 days. Apple iPad mini 2 128GB, Wi-Fi 4G, Unlocked (Sprint), 7.9in - Space Gray. 128GB storage. Supports GSM (Bands: 850, 900, 1800, 1900) / CDMA / LTE (Bands: 1,2,3,4,5,7,8,13,17,18,19,20,25,26). Trending at $299.17eBay determines this price through a machine learned model of the product's sale prices within the last 90 days. Trending at $489.97eBay determines this price through a machine learned model of the product's sale prices within the last 90 days. 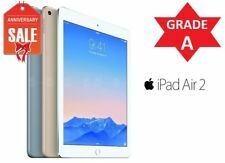 Apple iPad Air 2 64GB, Wi-Fi 4G AT&T (UNLOCKED), 9.7in - Space Gray (Latest Model). Accessories Ipad 1 Ipad 2 Ipad 3 Ipad 4 Ipad 5th - Ipad 2017 Ipad 6th - 2018 Ipad Air 1 Ipad Air 2 Ipad mini 1 Ipad Mini 2 Ipad Mini 3 Ipad Mini 4 Ipad Pro 10.5" Ipad Pro 12.9" Ipad Pro 12.9" 2nd gen Ipad Pro 9.7" Iphone 6 Iphone 6 PLUS Iphone 6s Iphone 6s PLUS Other Salvage Condition. With carrier support, up to 5 devices can be tethered to the iPad mini via Wi-Fi or Bluetooth. Since the display is significantly smaller than the iPad 2 screen, everything looks crisp and sharp. And when compared to a 7" tablet, the iPad mini has 35 percent more screen area. 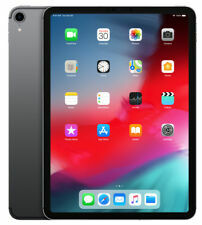 Apple in March 2019 refreshed the iPad mini, introducing the fifth-generation version four years after the release of the iPad mini 4. APPLE IPAD 4th. Tablets show evidence of heavy wear, such as deep scratches, large scuffs. Imperfections on the screen will not restrict visibility when powered on. Tablets show signs of use with minor scratches or scuffs. 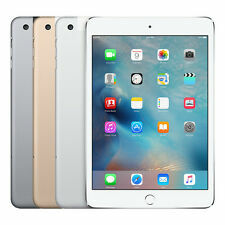 NEW Apple iPad Pro 2nd Gen 256GB Wi-Fi Cellular 4G LTE Unlocked 10.5" Space Gray. Condition is New. Shipped with USPS Priority Mail. The 4G LTE version supports wireless data networks with fast speeds up to 4G LTE. This capability allows you to use your iPad almost anywhere you go and makes use of high speed cellular networks across a large frequency spectrum. 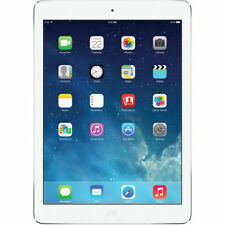 Apple iPad Mini 3 16GB, Wi-Fi LTE (Sprint) 7.9 in. - Space Gray. - Space Gray. Normal signs of use. Works Perfectly Fine. Apple IPad Mini in great condition. Comes with the Otter Box that has housed it since we got it. Can be used with any Wireless network. From a smoke free home. IPad has light scratches as well as hairline cracks as shown-- 100% functional. 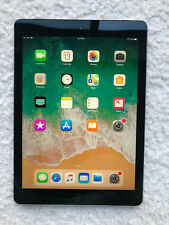 NEW Apple - iPad 6th GEN (Latest Model) with Wi-Fi Cellular - 32GB (Unlocked) - Space Gray. Model MR6Y2LL/A. Apple iPad (Latest Model) with Wi-Fi Cellular - 32GB (Unlocked) - Space Gray. The item is unlocked for all GSM/CDMA carriers (world device). 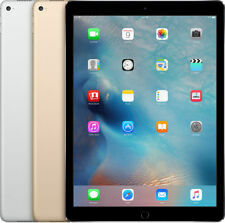 APPLE IPAD PRO 2ND GENERATION 10.5" 256GB ROSE GOLD (VERIZON = UNLOCKED) PINK SUPCASE! Apple Original Box and Manuals. Apple Lightning to USB Cable. Apple USB Power Adapter. Trending at $599.99eBay determines this price through a machine learned model of the product's sale prices within the last 90 days.